Below is an opinion piece that will be published in this week’s issue of Outlook, AUB’s official student newspaper. Believe me, I cannot believe I just said that either. Yet, there is a very compelling reason; I have to give credit where credit is due. Syrian President, Bashar al-Asad issued a decree early this April banning smoking inside cafes, restaurants and other public areas. This decree was implemented almost two weeks after, making Syria the first Arab country to implement such a ban in public areas. 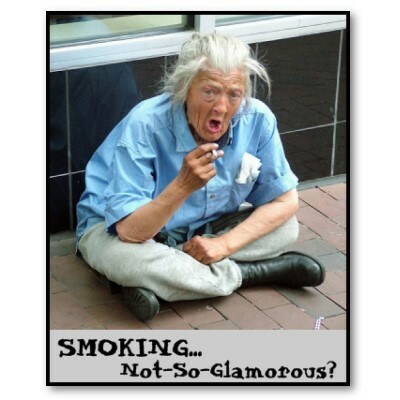 Moreover, in 1996, Syria banned tobacco advertising while in 2006, a law was passed to outlaw smoking on public transportation and some public areas. According to recent studies, an estimated 42 percent of males and 30 percent of females smoke in Lebanon, a country of around 4 million inhabitants. Most teenagers start the habit of smoking (cigarettes or ‘Nargileh’) due to peer pressure or family traditions. If our society wasn’t as accepting to smoking as it actually is, much fewer people would even consider starting to smoke as means to relieve stress. In Syria, tobacco cannot be sold to minors (below 18 years of age) by law. Why can’t such a law be implemented in Lebanon? Is it because we want to support the tobacco farmers in the Bekaa Valley without any regard to the health of the Lebanese population? Before anything else, the Lebanese parental mentality and upbringing should change. I am sure that every parent tells his/her children not to smoke, and explains the dangers of smoking. Yet, when the child is brought up in a family where his/her father and grandfather smoke, then how are adults setting better examples for the children? For once, I am really grateful for the American University of Beirut (AUB) to have recently restricted smoking to several “smoking areas” on campus, banning smoking inside all buildings (except for the dorms) with a vision to make AUB a smoke-free campus. I strongly support this decision because I have witnessed many freshman and sophomore students start smoking when they came to AUB just because they can, and because their friends smoke. The smoking ban will greatly reduce smoking due to peer pressure and will raise much better awareness than any anti-smoking advertisements in the media. Lebanon should also increase the taxes on tobacco products rather than increasing the taxes on bare necessities such as food, clothing and fuel. This will greatly reduce smoking because it will make people, especially teenagers, think twice before consuming lots of cigarettes per day. But most importantly, smoking in public places, especially crowded areas, should be completely banned. The ministry should impose rules on restaurant, club, pub or cafe owners to have secluded sections for smokers with the major part devoted to non-smokers. Because, let’s face it, banning smoking all over Lebanon will not happen any time soon. All we need is baby steps to ensure a healthier environment for generations to come.